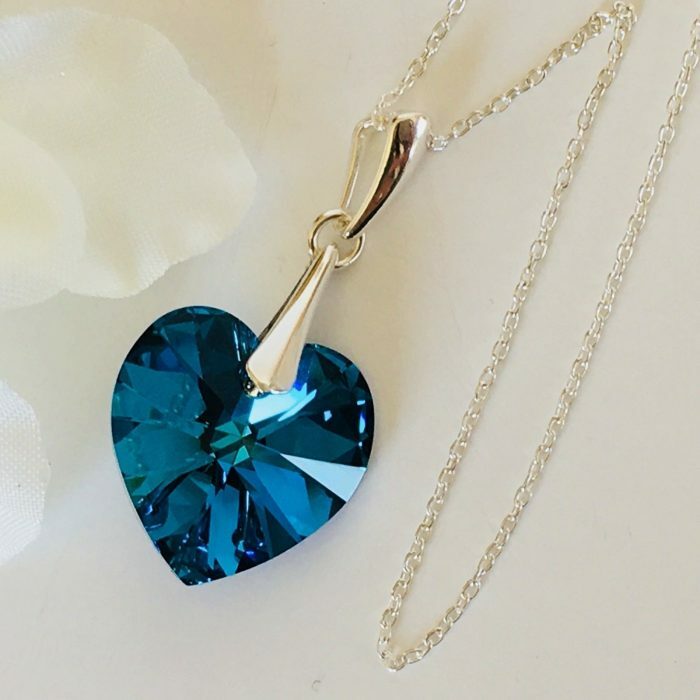 A beautiful handcrafted heart necklace, made with authentic Swarovski Elements Austrian Crystal. 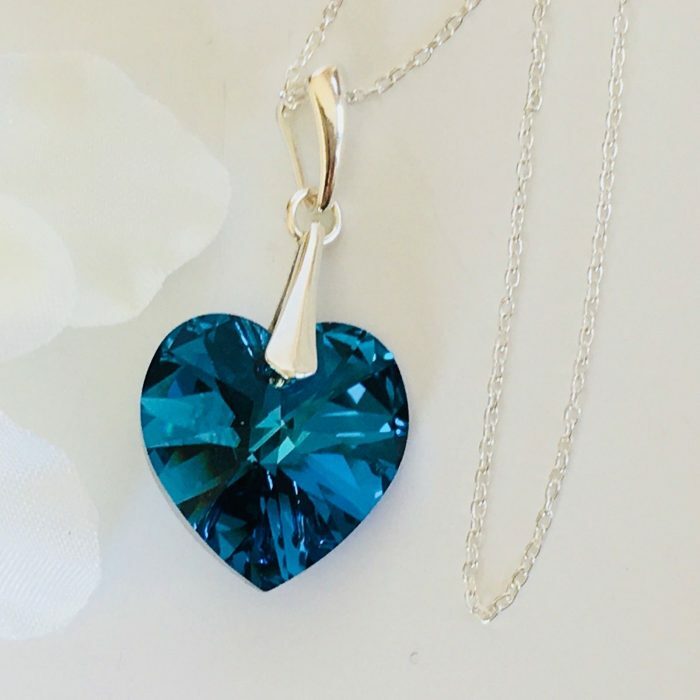 The elegant Bermuda Blue crystal heart is suspended from a quality 18inch (45mm), 925 sterling silver hallmarked fine trace chain. 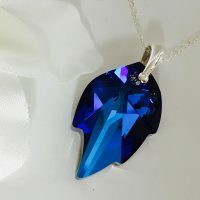 The Bermuda Blue crystal captures and reflects light, producing a spectrum of varying shades of blue, as well as other colours, which changes depending on lighting conditions and backgrounds. 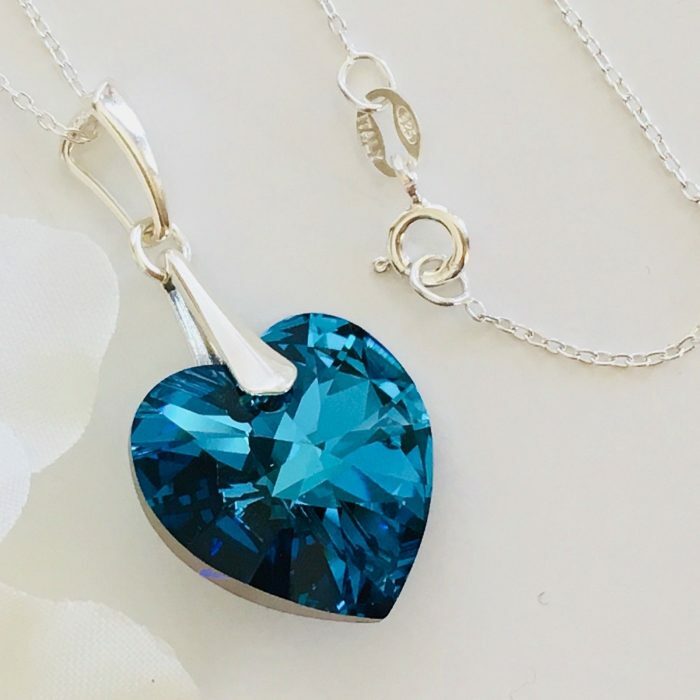 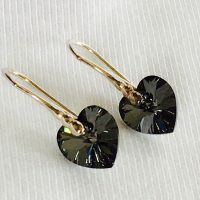 14mm crystal heart (without bail), measures 31mm with the sterling silver bail.18mm crystal heart (without bail), measures 34mm with the sterling silver bail. 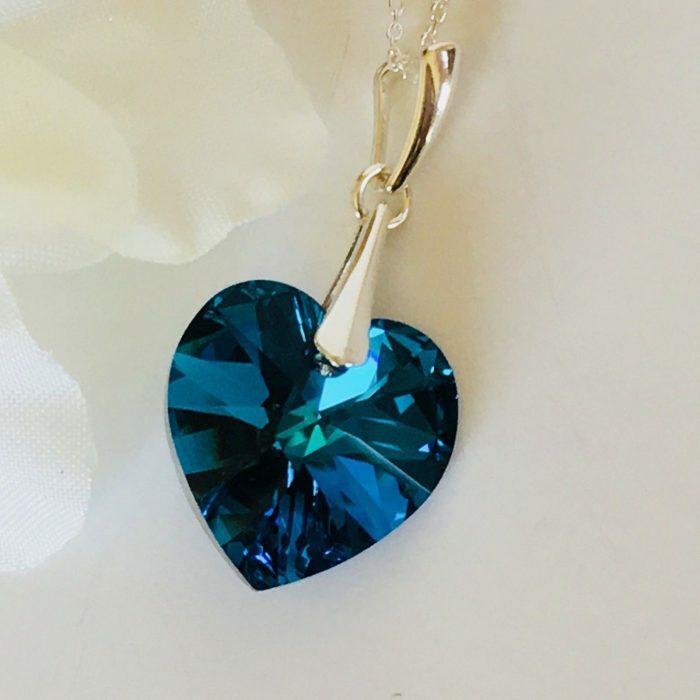 The necklace is also available with a shorter 16 inch (40cm chain), please leave a message when checking out if you require the shorter chain. 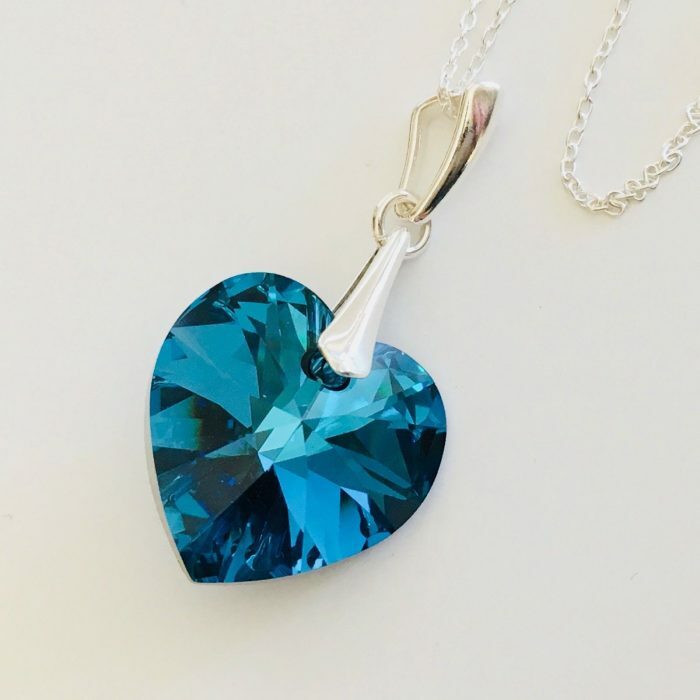 The heart crystal pendant is minimalist and elegant, large enough to attract attention whilst proving simultaneously discrete at the same time. 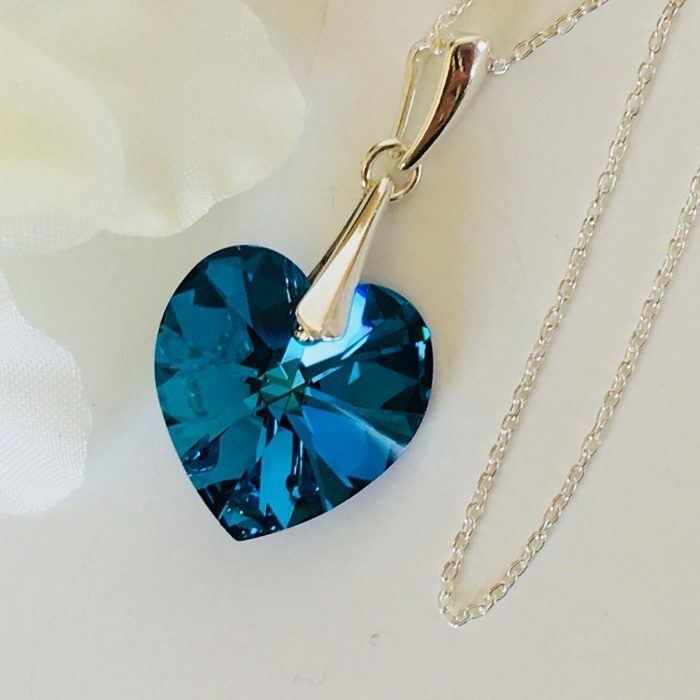 This necklace is perfect for both everyday wear and special occasions alike. 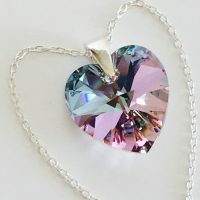 The crystal heart necklace is presented with a pink heart gift box, which comes flat packed for easy assembly. 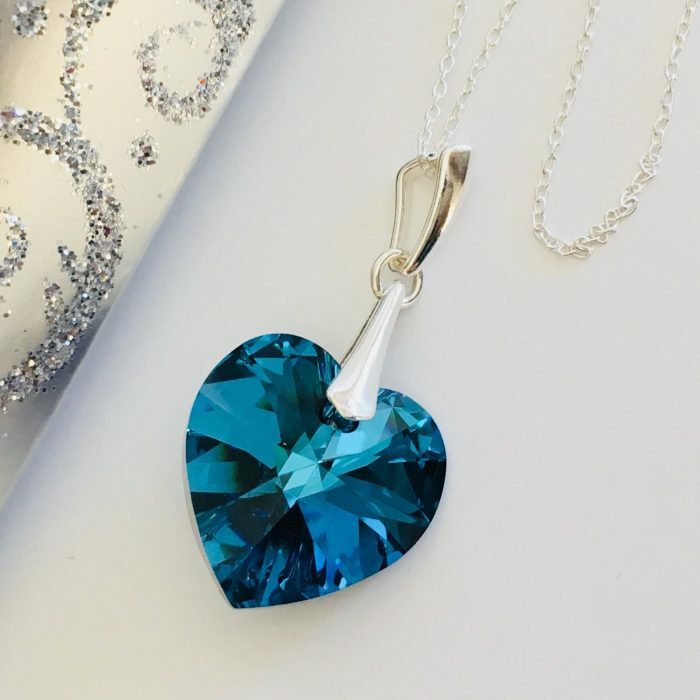 A perfect gift for Mother’s Day, Easter, Birthdays, Anniversaries or any special occasion! 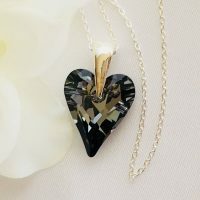 We’re so confident you will love this item that we offer a 30-day no-quibble money back guarantee. 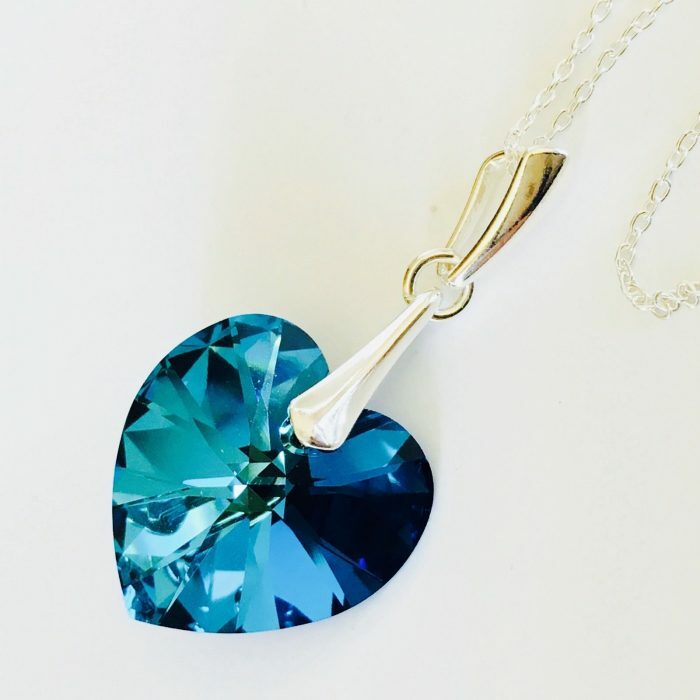 You may return your item and we will refund you in full if you are not completely satisfied. 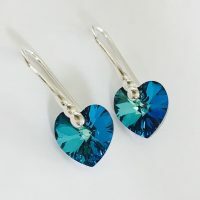 Order today to avoid disappointment!